A blank white surface opens up wide to your creativity. There's nothing to stand in the way once your juices get flowing, and its sturdy, lightweight tube steel fabrication means that this table can accommodate any working style. 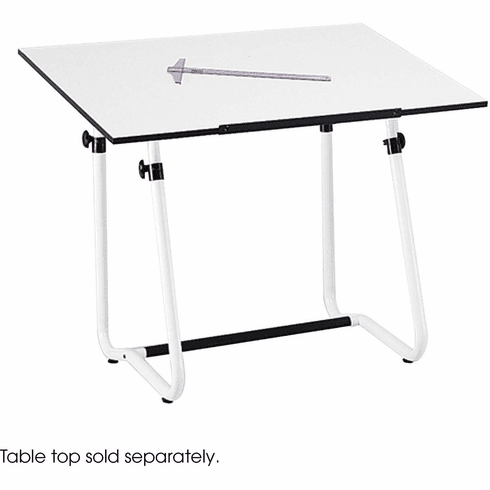 Able to tilt up to a 45 degree angle, this drawing desk will heighten and enhance your creative experiences. Height adjusts from 31 ¼ " to 47"
Adjustability Height: 30" to 46"
Product Height: 31 ¼ to 47"